Mark Wirschem began serving as a board member in 2007, seeking to volunteer for and support a highly regarded youth service agency in the community. 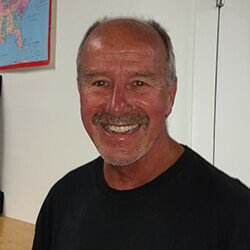 He moved to West Seattle in 1979, where he has raised his daughter and volunteered as a coach, childcare parent advisory member, and member of the West Seattle Community Accountability Board. Mark recently retired as the Juvenile Justice Treatment Services manager for King County Superior Court. He has over 35 years of direct service and program development experience serving high-risk youth within community-based, shelter, tribal, county, state, and court settings. © 2018 Southwest Youth & Family Services / All rights reserved.